Readers of this blog with good memories know that I love pelicans. At the beach this weekend (San Clemente, CA – can’t you tell from the photo?) 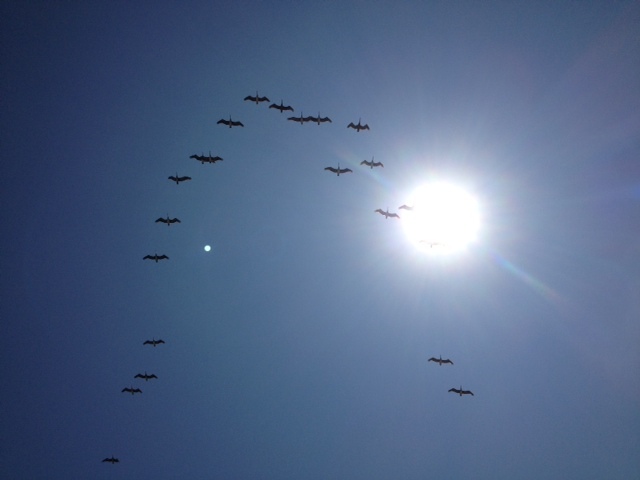 I managed to snap a fast-moving squadron as they passed overhead. Thanks! I had no time to plan that one!